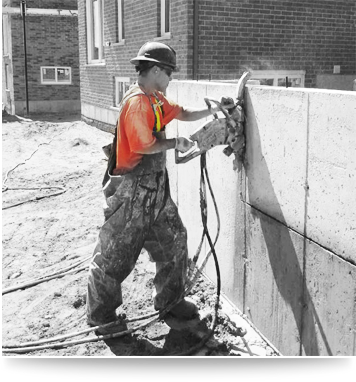 We at RDK Concrete Cutting & Coring Inc. pride ourselves on providing our customers with excellent and timely service. With over 15 years in the business, our professionals have both the knowledge and experience to satisfy your concrete cutting needs at an affordable solution. Core drilling up to 24"
We are a values based organization; building a better future for our staff, clients and community. We pride ourselves in caring for others like we would our own family. We'd expect high quality productive work and strive to do the same for every client. Our work is always done in the safest way possible to ensure the well-being of our clients and staff. At RDK we see the true value of love and integrity; no one gets left behind and we welcome others into our RDK Family.